The Penn MPH Program prepares students to be public health leaders by integrating research, education, and service to promote the health of populations locally, nationally, and globally. We aim to establish healthy practices, places, and populations through inter-professional collaboration, exemplary education, research, and community engagement. The MPH program is committed to creating a community of diverse students, scholars, and staff dedicated to solving public health problems and promoting health for all populations. The Penn MPH Program is administered by the School of Medicine and housed in The Center for Public Health Initiatives. Governance of the program includes faculty from all participating Penn schools. Public health carries out its mission through organized, interdisciplinary efforts that address the physical, mental, and environmental health concerns of communities and populations at risk for disease and injury. This mission is achieved through the application of health promotion and disease prevention technologies and interventions designed to improve and enhance quality of life. All public health curricula focus on the five core knowledge areas of public health: Biostatistics, Epidemiology, Environmental/Occupational Health, Behavioral Sciences, and Health Care Policy and Management, with electives and internship experiences in line with the student's interest. 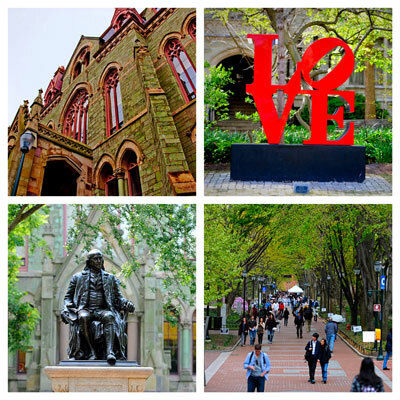 Penn offers specialized programs within most of these knowledge areas and students may focus their studies in one of the 3 tracks: Generalist, Global Health, or Environmental Health. The program is designed to be a two-year full-time program or a three-year part-time program. However, the time to complete the degree will be extended for those who complete the MPH program in combination with another Penn degree. See Planning for MPH Study. Read more about the curriculum and courses we offer in the program.